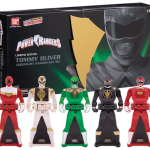 Contest Results for Red Ranger and Autographed Green Ranger Figuarts! We are finally ready to announce the winners of our S.H. Figuarts Red Ranger contest and Autographed S.H. 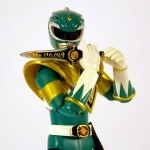 Figuarts Green Ranger signed by Jason David Frank contest! The winner of the S.H. Figuarts Red Ranger figure, along with SDCC Power Rangers ACG exclusive Armored Red Ranger and Figuarts Red and Green Ranger cards is @Howling_Snail on Twitter! Congratulations! The winner of the autographed by Jason David Frank S.H. Figuarts Green Ranger figure, along with a SDCC Power Rangers ACG Figuarts Red and Green Ranger card is XW1n5t0nX from our TokuNation.com forums! We have contacted each winner requesting a mailing address so that we can get your items to you ASAP! Thanks for participating! And get ready for our ultimate, yearly contest coming during our 2 year celebration in January, 2014! 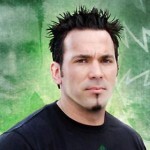 Jason David Frank is shooting a Green Ranger Movie Trailer!! 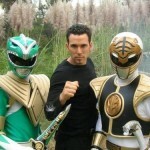 Jason David Frank revealed on his Facebook fan pages that he is “Working on the green ranger movie trailer with Bat in The Sun!! Wait till you see it!! Is this the reason why Jason has refused to be a part of the MMPR Fan film? What sort of deals did he reach with Saban? 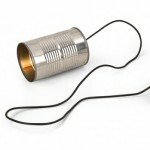 Stay tuned for more news as it develops. 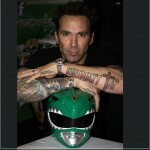 Jason David Frank, better known as Tommy Oliver in the Power Rangers Universe, has updated via YouTube a preview of his upcoming documentary entitled “My Morphin Life”. 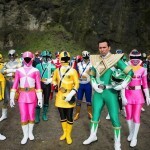 Not only is his documentary going to showcase the life of the Green Ranger, it’s also giving us our first look at some stuff from the final episode of Power Rangers Super Megaforce titled “Legendary Battle”. What do you think? Are you excited? You planning to watch it? Discuss away!! During San Diego Comic Con 2013 the party never seems to stop, and right now, neither do I with updating with images from the convention of the year! 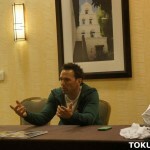 Jason David Frank, or as you know him, Tommy Oliver the Green Ranger and White Ranger from Mighty Morphin Power Rangers, held two special VIP Meet and Greets away from the convention center and TokuNation.com went to the latter event! 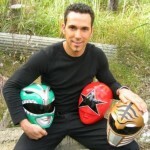 Here’s some information that Jason David Frank shared! Bandai had no idea that the SDCC exclusives would be this popular. They now know otherwise. Check out the images, including Kickback posing with the legendary ranger himself.